A new model of information transformations was developed for remote thermal imaging from an aircraft or space vehicle. This model takes into account characteristics of background, targets, the optical system and the matrix detector, which allows us to explore ways to improve the technical characteristics of the system’s main blocks. The computational algorithms are based on spatial-frequency filtering in the signal propagation paths and allow performing the tasks of analysis and synthesis of systems with or without visual perception. The model is compatible with the current NATO standards. New methods have been developed for calculating the spatial and energy resolution of modern and future thermal imaging optoelectronic observation systems. Methods for increasing the spatial resolution of airborne thermal imagers by recording sub-pixel-shifted images have been developed. Resolution for typical objects of observation can be improved by 20-30%. Engineering solutions for increasing the energy sensitivity of space and aviation thermal imaging observation systems are substantiated. 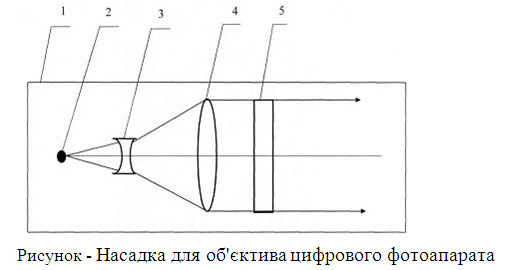 The results of the work are introduced into the educational process in the form of new sections in the lecture courses of the discipline "Space and Aeronautical Optoelectronic Devices" (sections "Methods for increasing the efficiency of aerospace optic-electronic surveillance systems", "Choosing the bandwidth of space thermal imaging OEOS"), "Reception and signal processing in optoelectronic devices" (section "Calculations of the distance of the observation of mobile OES using the Neumann-Pearson criterion"),"Infrared sensors" (section "Specific features of the formation of a background target the situation with nadir observations"). Also, the results of the work are introduced in the new laboratory work "Determination of MRTD for moving thermal imager" in the discipline "Optical measurements". 1 doctoral and 1 PhD dissertations were fulfiled, 3 PhD theses are accepted. Two monographs, one textbook have been published, 17 scientific articles have been published, of which 7 - in publications that are part of the science-scoring databases Scopus and Web of Science, 10 - in professional scientific publications of Ukraine, including 5 with students. 26 reports were made at international and domestic scientific conferences. 5 patents of Ukraine are received. 7 master's theses and 6 diploma projects are protected.